St. John's has outstanding teachers and a Christ-centered focus! Easy online application process for new students. Excellent preschool program and latchkey childcare. St. John's sports programs develop teamwork and self discipline . Glorifying God through drama, music, and performing arts. Special events, monthly and annual school calendars. Chapel - April 24 Getting Real with Real.Present.God. 8:15 a.m. Families are invited to join us for chapel on Wednesday morning. This year's theme is Real.Present.God, based on the book of Psalms. In real life - a real God is present in Word and Sacrament. Our God is not only present, but He is personal and powerful. Get ready for a summer of adventure! Registration is now open for our 2019 JEC Summer Camp. Registered campers can look forward to unique field trips, engaging activities, and great fun with friends. Parents can expect top-notch teachers, learning experiences, and a safe and supportive environment. Join us and you’ll see why our summer camp is something to ROAR about. View the reunion video featuring current and past parents and students. The Tax Cuts and Jobs Act was recently signed into law. This allows 529 plan account distributions of up to $10,000 annually per student for tuition and related expenses at a private or religious elementary or secondary school. Check with your financial advisor to see how this may benefit you. The new St John's cookbook are in!!! 827 recipes! Tons of favorites from previous cookbooks, plus Insta-pot & gluten-free recipes. These recipes come from 7 different states as well as 3 cities in Germany! This is a sturdy hard back 3-ring binder. $20/each. Awesome Christmas gifts. Email Jacque.golden6@gmail.com for orders. 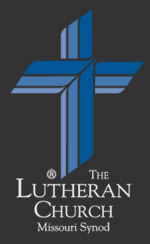 St. John's Lutheran School exists in Christ to educate and equip students by developing the mind and engaging the heart to impact their communities through the Gospel. SOW His love in word and deed. 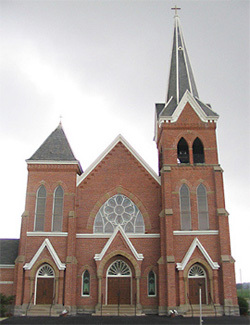 For more than 175 years, St. John's Lutheran School has been dedicated to providing a Christ-based education that produces better students and Christian citizens. This is accomplished through the partnership between educators and parents. Our school provides an exceptional Christ-centered education for preschool through 8th grade, including a magnificent child-care program. At St. John's,, we don't want to keep Jesus isolated only to religion class. Instead, we strive to incorporate Christ into every part of our day. 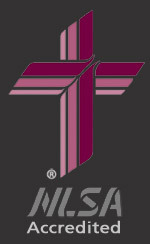 St. John's is fully accredited by the National Lutheran School Association, and our teachers are all certified.